The DPC low range pressure controller calibrator measures and generates low range pressures over 1, 10, 100 or 1000 mbar, and can be used as a pressure measurement device or as a test and calibration device for pressure sensors and pressure switches. An integrated lithium-ion battery makes the DPC the perfect companion for mobile calibration tasks. It is therefore no longer necessary to disassemble the systems for calibration, thus speeding up the calibration process and reducing associated costs to a minimum. Programmable pressure profiles enable the automation of individual calibration processes. In addition to offering maximum convenience, the DPC also has an extremely low measurement uncertainty and great long-term stability. 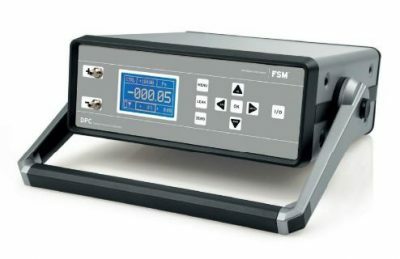 The DPC pressure calibrator is most commonly used in the following applications: Mobile calibration, laboratory calibration, leak testing, clean room, test automation, and production monitoring. Send us your enquiry for DPC Low Range Pressure Controller and Calibrator to get assistance with this product type.